NOTE: This post contains mild SPOILERS. 10) J. Edgar Hoover (Dylan Baker) tells President Lyndon B. Johnson (Tom Wilkinson) that the FBI can create a wedge in the family of MLK, Jr. (David Oyelowo). 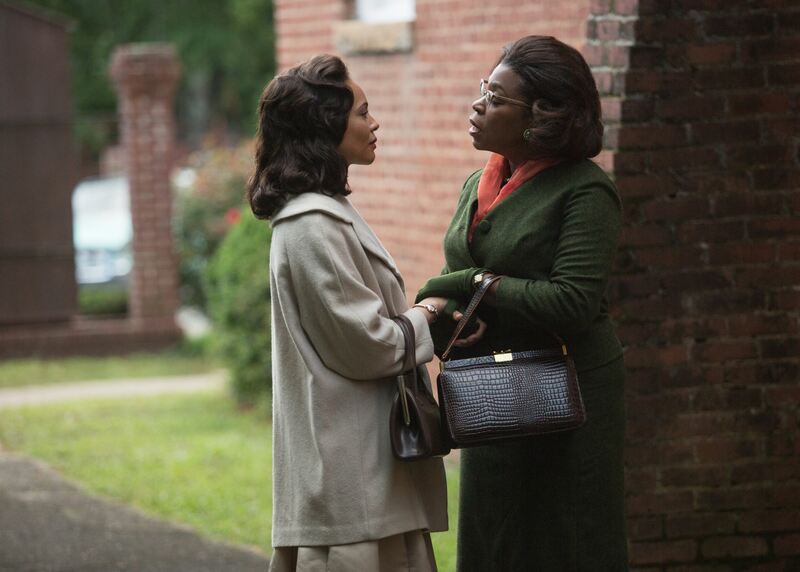 9) Coretta Scott King (Carmen Ejogo) quietly meets with Malcolm X in a church. He offers assistance to the movement. 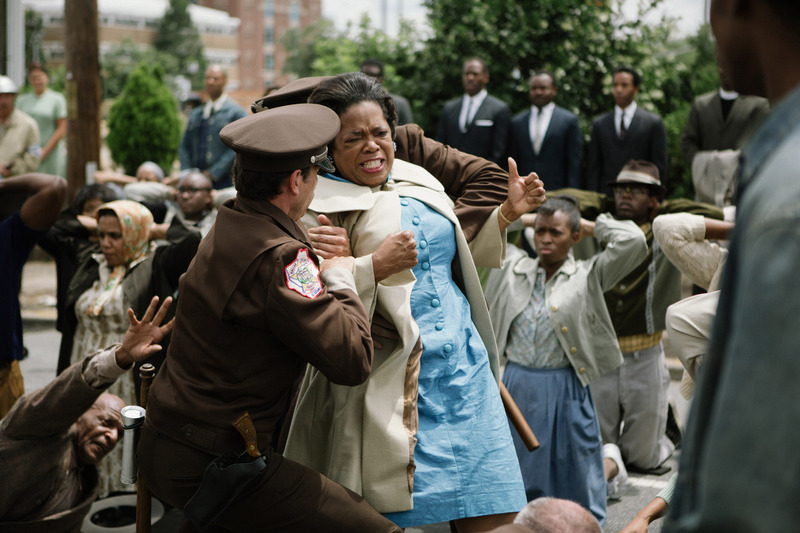 8) Annie Lee Cooper (Oprah Winfrey) punches out a policeman who violently lay hands on her in front of the Selma courthouse. 7) LBJ tells Governor George Wallace (Tim Roth) that “no way in Hell” will he be on the same page as the backward-thinking man when it comes to history. 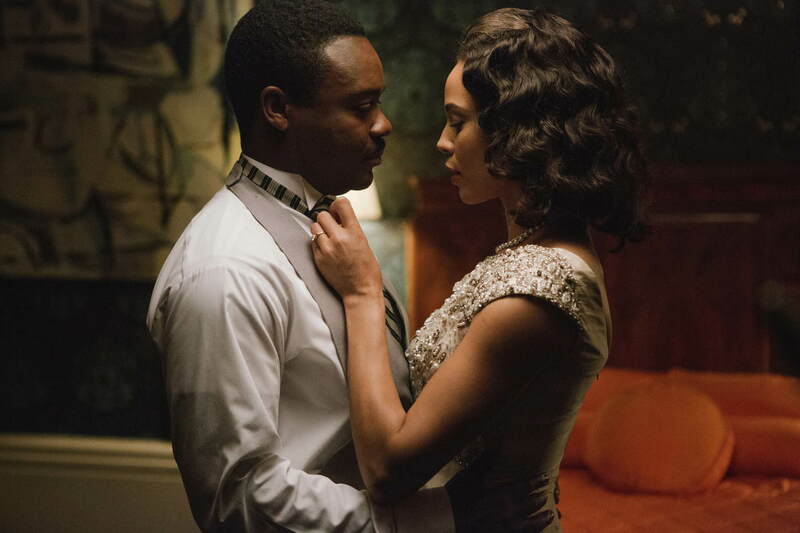 6) Coretta confronts Martin about her fears and insecurities, including the other women in his life. 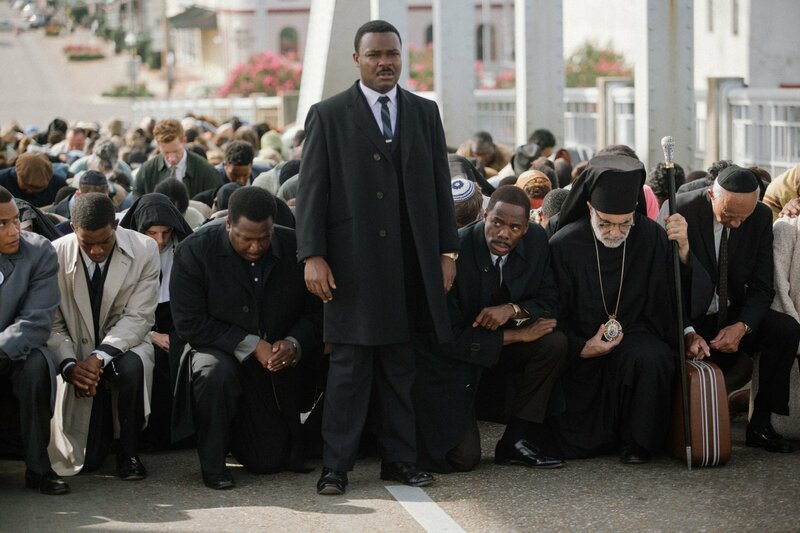 4) The prayer on the Edmund Pettis Bridge- a silent, BUT powerful moment. 3) Some little girls in their Sunday best discussing Coretta’s hair before the church bombing (of the 16th Street Church in Birmingham).